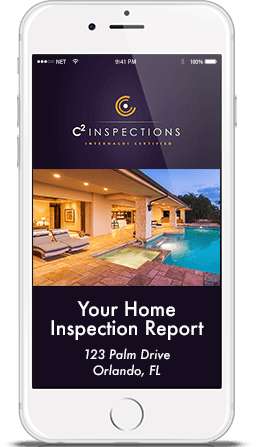 Beat the heat of Florida’s highly competitive real estate market with a comprehensive home inspection from C Squared Inspections! Let our experienced professionals help you get to know the true condition of your home so you can enter into real estate negotiations with confidence. We provide a range of superior inspection services, whether you’re a first time home buyer or are looking for ways to save money on your homeowners insurance. Before you make the next big decision for your home, have it inspected by our skilled experts who are courteous, thorough, and dedicated to exceptional customer service. We will make sure your home is SQUARED away! C Squared Inspections has performed countless home inspections for Florida residents. We combine an intuitive understanding of your home’s structure and mechanics with extensive training from the world leader in inspection education, the International Association of Certified Home Inspectors (InterNACHI). We will visually assess your home’s accessible systems and components and present a detailed report on their condition. You are welcome to join us during your inspection walkthrough, so you gain a firsthand perspective on the condition of your home and how it operates. We provide electronic reporting within 24 hours of the conclusion of your inspection. The informative inspection report features photographs and concise explanations of possible defects. For your convenience, you will have online access to the report. C Squared Inspections is committed to your positive customer service experience. We are here for your needs should you have questions at any time during the inspection process. To thank our clients for their valued service, we offer discounts to first responders, members of the military, public servants, and teachers. Give us a call today to see how we can help those who dedicate their lives to helping others! We are proud to serve Central Florida and the surrounding areas, including Orlando, Kissimmee, Polk County, Orange County, Osceola County, and Seminole County. Request your C Squared Inspection today and we will make sure your home is SQUARED away! Payments accepted are Visa, MasterCard, and Amex .